One week into the new year, and I’m wasting no time acting on my 2013 resolution –Crossfit. Yesterday, I played with the professionals, the athletes, the fitness gurus. I got this brilliant idea from my friend and champion crossfitter, Karolina. One of the few people I trust in life, and so I know she wouldn’t steer me wrong, or put me in a situation that would fuel my anxieties. I struggle a lot with fitness –my actual fitness capacity, and more so my perceived fitness ability. I’m often pegged to be fit because of body composition –I’m thin/lean and flexible. That’s all I got. No strength, no coordination, no balance, and no agility. I’m missing just a few key components of fitness: muscular strength and endurance, and cardiovascular endurance. This common misperception of fitness is my nemesis. It’s convinced me to set unrealistic expectations of and for myself. I feel I should be fit-ter than I am because of others’ perceptions. It’s why I dislike working out; it’s why I feel uncomfortable in such environments. But, it’s time for change. Crossfitters are required to participate in a 101 course prior to actual workouts, and last night was my first of five 101 sessions. My nerves were shot and intimidation levels were off the scale. An hour before the class, I spoke with Nancy of Crossfit West10 and she let me know that I was the only one in the class. Surely, most people would be ecstatic at an opportunity for a one-on-one personal training session. I, on the other hand, was in panic mode. I spent more time wracking my brain trying to devise an exit strategy than I did breathing. Well, I survived…well after some teary eyes, light-headedness, nauseousness, and my legs falling out from beneath me. Bryce was unbelievably patient and understanding. He was quick to modify exercises to my abilities/needs, and yet pushed me when I needed it. What I thought was a workout was not a full workout. It was apparently more of an elementary warm-up. Yikes. I couldn’t have picked a better sport to help me build fitness confidence and capacity. The crossfit community is exactly what Karolina assured of –supportive and judgement-free. Exactly what I need. 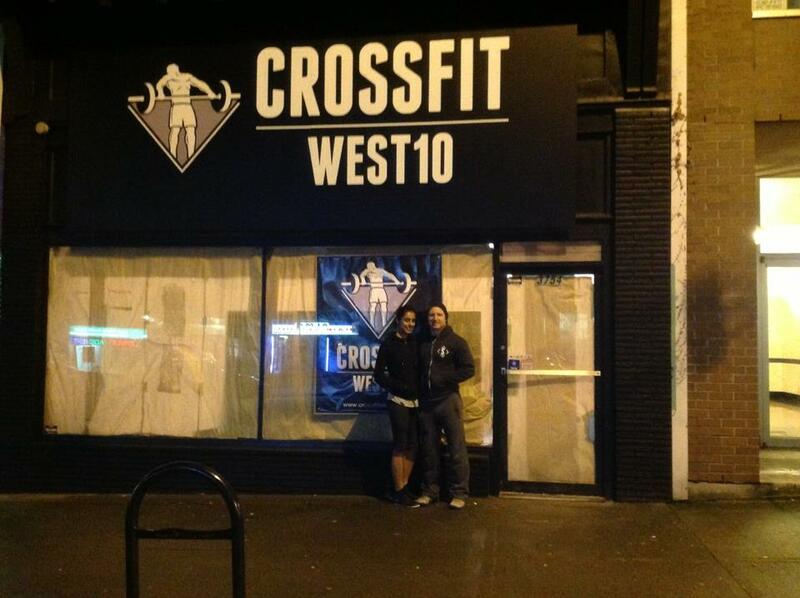 The team at Crossfit West10 is amazingly friendly and encouraging. I’m super stoked for this new venture with this crew. They will be good for me. (2) Don’t let perceptions dictate your capacities. (3) No one likes a quitter. (4) I’m so sore, good sore. I’m spending my weekend in a hot tub and infrared sauna.